It is a cliché in city planning that, adding roads to prevent congestion, in fact ends up in more cars and more congestion. IDLM was reminded of this seeming contradiction while watching another episode of Law & Order: NFL Crappy Refereeing. In this week’s episode, what was considered pass interference on Thursday is Saturday’s “let ‘em play”. 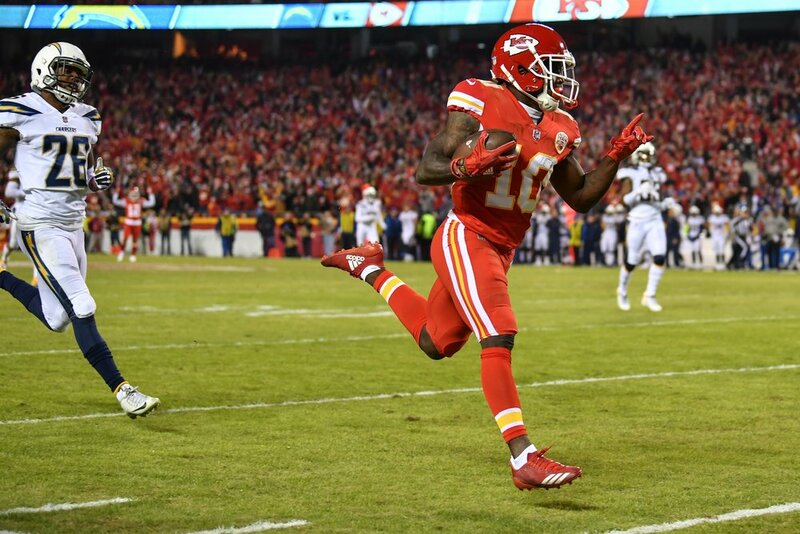 The Kansas City Chiefs (and under bettors) watched in astonishment as the refereeing crew for their game against the LA Chargers went Sixth Sense in the second half. As in, “I see phantom penalties”. Defensive backs were seemingly flagged for casting a shadow on the Chargers receivers. The result was a last-second LA win and an over on the 54-point total. On Saturday night, the standard of Go Gently Into That Good Pattern had morphed into something more boisterous as the upstart Cleveland Browns rallied to upset the Broncos in Denver. DBs got away with plays that would have had them indicted for murder on Thursday. The whole thing was accompanied by the NFL’s befuddled broadcast partners wondering “Wha’ happened?” Attempts to clarify what constitutes a catch open new vistas for opaqueness. Not a good look. The reason for much of this confusion lies with the league’s attempt to prevent injuries by adding a new rules to their rule book. As this has done to city streets, the additional nuance and subtext has only produced greater congestion in games. Endless referee conferences. Players dumbfounded. TV announcers criticizing. And still the bodies are broken, the injury lists groan with victims and the fans simmer in disappointment. As they like to say, Epic Fail. As said earlier, this is nothing new. The league has been knee-deep in torn ACLs for some time now. Here’s what we wrote in November 2016’s The Modern NFL: Those Who Don't Like It Don't Like It A Lot . “Herewith a few suggestions why the NFL has become unwatchable without a wager or a drinking problem. 1. The salary cap was always lauded for its ability to create parity. “On any given Sunday one team can beat another…” etc. For those who worship the crest in the 32 NFL cities this is supposed to maintain interest through the endless 17 weeks of the regular schedule. For some it still does. But the flip side of “On any given Sunday…” is that on any given Sunday a team can lose for much the same reasons. With talent in the league diluted by the salary cap, losses are often for capricious reasons having nothing to do with talent. Refereeing, injury, coaching decisions— all take on exaggerated impact in a league where the margins between best and worst are razor thin. Many fans are put off by the randomness of this process. As talent is devalued, so too is winning. And fans like winning teams. 2. Penalties. The NFL has long been lauded for its ability to gerrymander the rules of its sport to encourage scoring and more dynamic plays. The result, however, is a rule book that more resembles the IRS tax code than any sporting competition. As NBC’s Al Michaels laments, the flow of games is constantly interrupted by a scrum of referees huddling to divine which of the million NFL bylaws been breached. The Oakland Raiders recently chalked up a record 23 (!) penalties accepted in a single game. As a result, games are unwatchable tedious. On most occasions there is some foul detected. But the proliferation of penalties says that the game might be too difficult to play by the Spanish Inquisition standards of the rule book. Any game that has more than five flags per team is a problem the league needs to address. And don’t get me started about consistency from one officiating crew to the next. 3. Commercials. The NFL doesn’t get $6.2 billion a year for TV rights for nothing. In a time when viewers are avoiding programming pockmarked with commercials, the NFL was thought to be immune to the ennui for ads. But as watching commercials has become more foreign to consumers, an NFL game broadcast bloated to three hours by endless commercial breaks is living in the past. Record a game, then fast forward through all the commercials and the halftime onslaught. It’ll take you no more than a half hour. People’s time is more valued than ever. The NFL needs to figure this out. 4. Injuries. Put simply, “On any given Sunday…” there are too many of the NFL’s stars not playing due to injury. Despite attempts to make the game safer, players are falling like ten pins every week. Watching the 60th man on the roster start on Sunday is not what fans sign up for. The NFL needs to morph toward rugby's rules on contact (no head shots of any kind, no excessively violent tackles, no equipment used as a weapon) to keep players in lineups. Having them inhabit normal bodies, not 325-pound drug-fuelled colossi, would be a place to start.